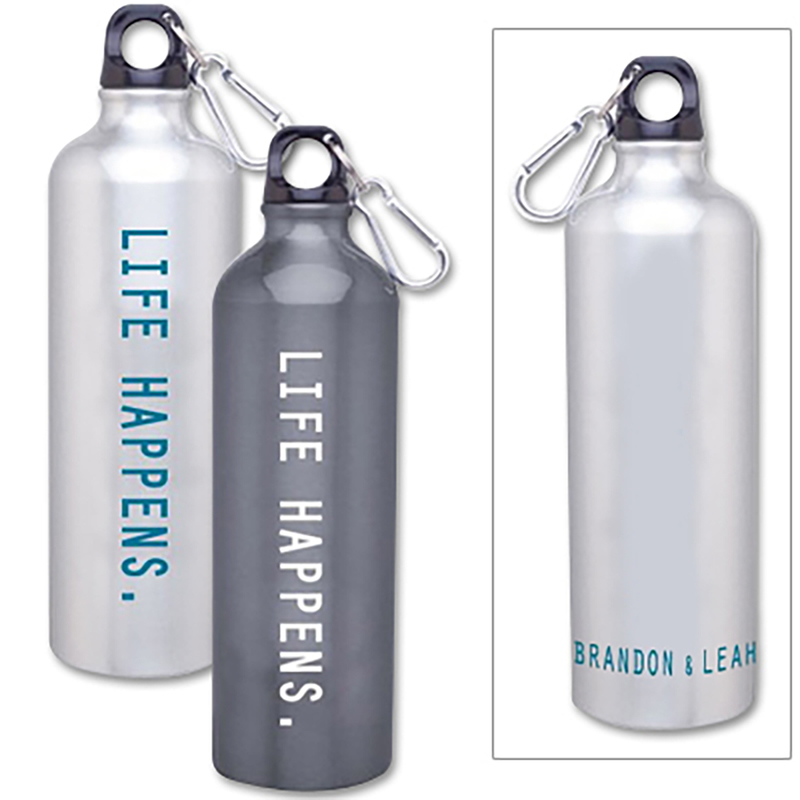 Skip the bottled water and get one of these stylish and reusable Life Happens bottles. Featuring Life Happens on one side and Brandon & Leah on the other, this bottle is perfect for where ever you go. 24oz (BPA free) aluminum bottle, with screw top lid and carabiner.